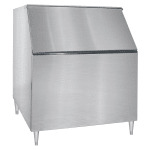 The Kold-Draft KDB950 ice bin is made of stainless steel for maximum corrosion resistance. It can store 950 pounds of ice and has an interior space of 30.1 cubic feet. Insulated with polyurethane foam between its walls, this unit is structurally sound and retains temperatures well. Its polyethylene-lined walls reduce scratches from scooping, and its door can be smoothly lifted or sealed shut with gaskets that prevent cold air from escaping. 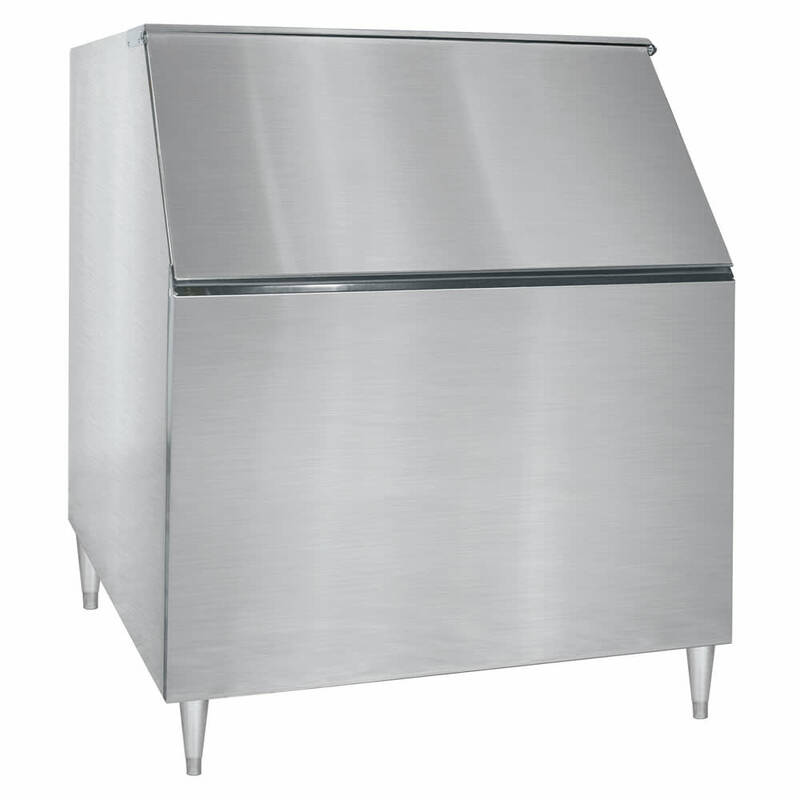 This Kold-Draft KDB950 ice bin has 6-inch legs for stability. Its door opening is wide to provide complete access to ice, and its low door sill supports comfortable scooping. Need more information before deciding? Take a look at our ice machines resource article to learn more.